2016 predictions for bull markets remain the same, just different price targets. US Dollar – 102 was tested this year on DX futures and has held above 2015 highs near 100. If support holds near 100, I suspect a LT rally in the dollar to ensue, testing 106. US Stock Market – The Dow Jones Industrial, S&P 500, and NASDAQ 100 continue to look bullish and have all broken out on monthly charts. Whether the breakout and rally continues remains to be seen. Holding above the following price levels could be a sign of a bullish continuation. On a six month opening range basis, the S&P 500 closed inside the opening range from July. 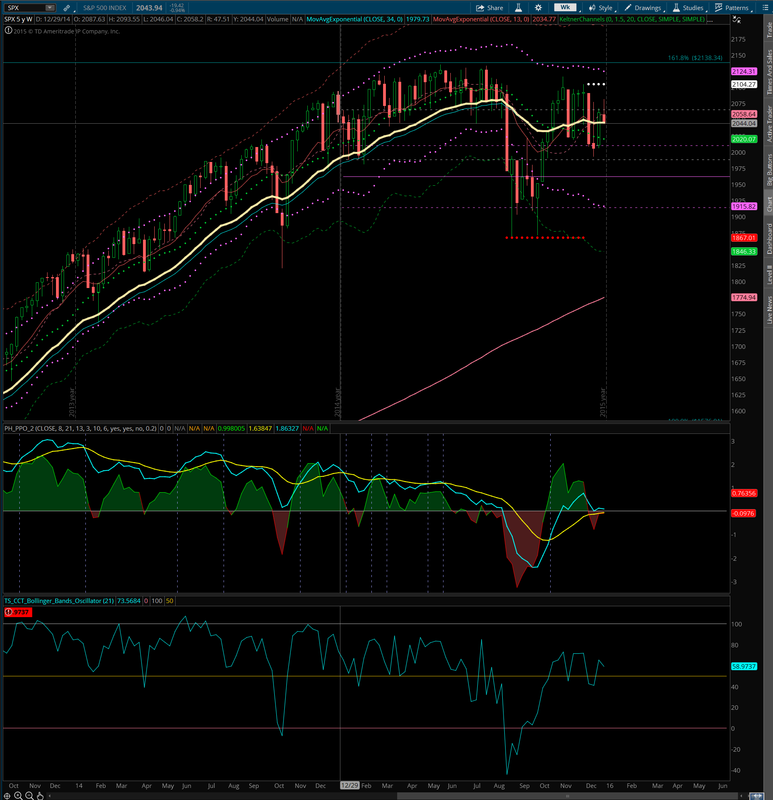 A neutral to bearish close for the six month period. On a yearly basis, the S&P 500 did not close above the opening price of the year, and did not close above 2014’s high. 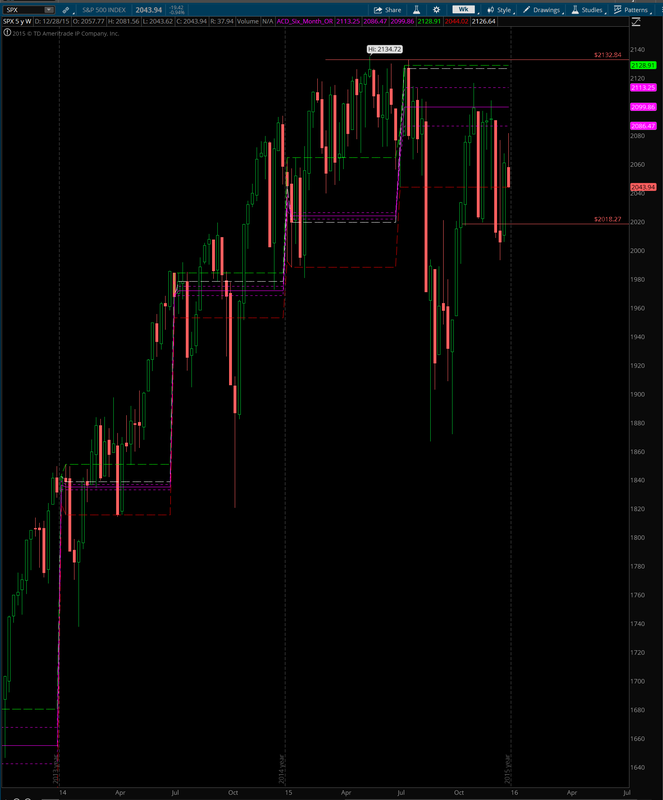 On a yearly basis, the close looked neutral to bullish. 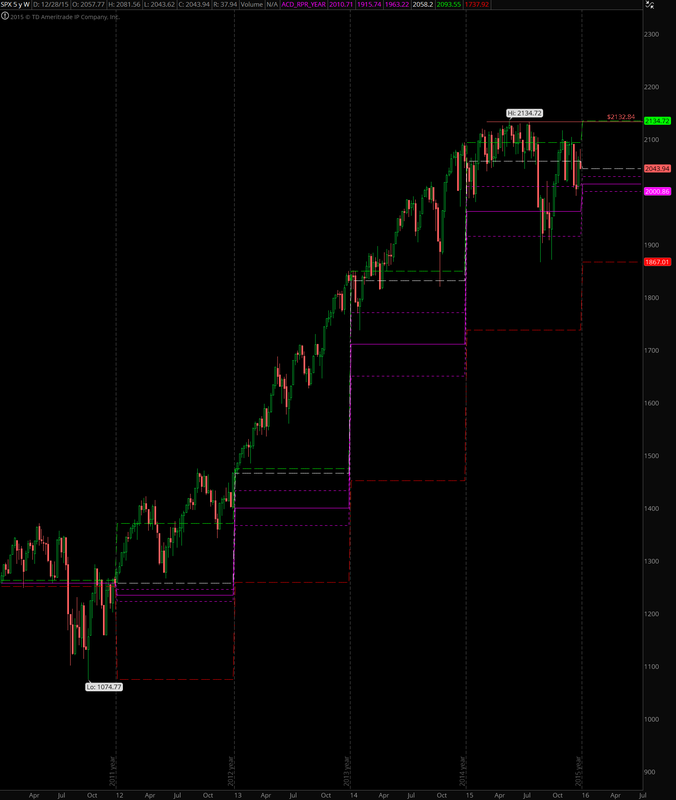 Overall, the whole year was a consolidation in a range with neither highs being bought nor lows being sold. 2134 and 1867 will be levels that should be observed carefully in 2016 for signs of a rally or sell off.